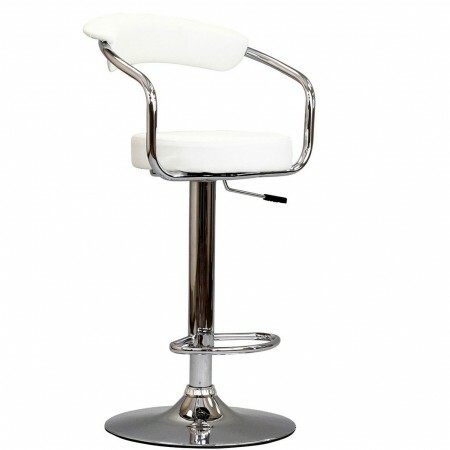 The Diner white bar stool is a great choice for folks who want supreme comfort in a Bar Stool. Thick cushion greet the user like an old friend, and upholstered back rest invites you to lean back and relax. The base and pole's shiny chrome finish, give it a delightful retro feel; have the best of yesterday today.